For therapeutic laser applications, laser parameters such as pulse duration and power are varied depending on the desired therapy. In order to achieve the desired effect, it is necessary to know at what parameters which damage mechanism occurs. In addition to laser parameters, damage thresholds are primarily dependent on the absorption property of the irradiated tissue and the prevailing temperature. 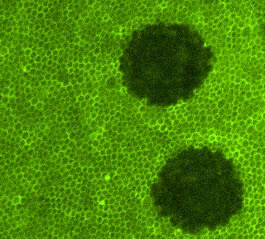 At the MLL the laser-tissue effect is fundamentally investigated, also using histological and biochemical methods on cell and tissue explants. Bacteria are irradiated with light to initiate photocatalytic processes. Subsequently, the vitality of the bacteria is examined. 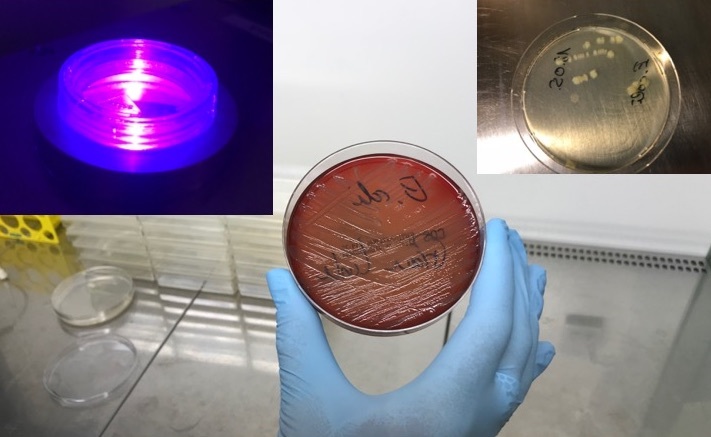 Light-irradiation of photosensitizing dyes can effectively kill bacteria. These mechanisms also work against multi-drug resistant bacteria and it is difficult for bacteria to develop resistance to this treatment. At the MLL, we investigate antimicrobial paints that are suitable as surface coatings for hygienically sensitive areas. Food packaging, which allows statements about the freshness of the packaged food, have great potential to detect spoiled and thus harmful food. In addition, food resources can be used more effectively and waste can be reduced. At MLL, dye-based sensors are being tested for the detection of harmful substances that are released during spoilage of fish and meat.